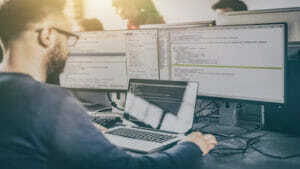 IBM Services for Multicloud Management developed an integrated state-of-the-art automation platform to manage multicloud and hybrid IT architectures and the applications, services and workloads they support. The platform incorporates ScienceLogic’s SL1 for IT operations and Cognitive IT service management. SL1 monitors networks, systems, servers and storage across multicloud and hybrid IT environments, and delivers real-time mapping between infrastructure, applications and business services essential to identify root cause service impact. Additionally, SL1 provides clean, contextualized data to drive advanced analytics and automate service delivery. Listen to theCUBE interview recorded at IBM Think 2019 with IBM Services and ScienceLogic executives.